ANDREWS, Bruce Russell (23 Jan 1961 - 13 Apr 2016) - age 55 of Dartmouth - Passed away Wednesday, April 13, 2016 at home. Born in Halifax, he is a son of Margaret and the late George Andrews. Bruce was a member of the Royal Canadian Navy for over 32 years; as a Boat Swain “Bos’n” for 29 of those years; he spent the final 3 years of his career with the Naval Reserves at HMCS Scotian. He enjoyed hunting with his brother Barry and was a kind and thoughtful neighbour. Bruce is survived by his wife Susan Annette (Webber); daughter, Victoria Jane, Dartmouth; son, Bradley George, Dartmouth; sisters, Karyn Andrews (Bryan Mason), Truro, Debbie Babin (Ed), Windsor; brothers, Barry (Marlene), Vancouver, Richard (Cathy), Ottawa and Bryan (Diane), Ottawa. He was predeceased by his father, George Andrews. Cremation has taken place. Visitation will be held from 2-4 and 7-9pm Sunday, April 17 in Atlantic Funeral Homes, 771 Main Street, Dartmouth. A memorial service will be held 11am Monday, April 18 at St. Brendan’s, CFB Halifax. Reception to follow at HMCS Scotian, 2111 Upper Water Street, Halifax. Private family interment in Dartmouth Memorial Gardens. In lieu of flowers, donations may be made to the Brain Tumour Foundation of Canada. The family would like to thank Palliative Care, Nova Scotia Cancer Center, QEII 7.3 Neurosurgery, Bayshore, and the VON. BENEDICT, Scott Alexander - age 50, Ellershouse, passed away unexpectedly on Saturday, December 4, 2010 in Fort McMurray, Alberta. He was a son of Blanche (Harold) Gertson and Eldon (Mary) Benedict. Scott was employed with Thompson Brother's Construction in Fort McMurray, Alberta; prior he worked in construction for over 20 years. He was also a marine engineer and ships diver in the Canadian Navy for 5 years. Left to mourn his great loss, are his wife, who was the love of his life and best friend, Rose (Rosie) Harvey; son, Ryan Benedict (Jessica Snow) and Ryan's mother, Jayne Wagner) Sackville, N.S. ; step-son, Sheldon Pennell (Susan), Ellershouse; step-daughter, Tanya Pennell (Leslie Patterson), Charlottetown, PE; grandson, Lincon Pennell; sister, Jocelyn Ryan (Tim), Eureka, MT; brothers, Sheldon Benedict, Vulcan, AB; Sean Benedict (Gwen), Petawawa, ON; nephew, Evan; nieces, Kayla, Jordan and Trinity. He was predeceased by maternal grandparents, Clarence and Phyllis MacPhee; paternal grandparents, Clyde and Evangeline Benedict; uncle, Merlin MacPhee. Visitation was held for family, 2-4 p.m., with a public visitation 7-9 p.m. Thursday, December 9, 2010, in Lindsay's Windsor Funeral Home, 194 King Street, Windsor. A celebration of Scott's life was 2 p.m. Friday, December 10, 2010, in Lindsay's Windsor Funeral Home Chapel. The Rev. Bill Gibson officiated, followed by cremation. Interment will be held at a later date. In lieu of flowers, donations in Scott's memory may be made to the Heart and Stroke Foundation of Nova Scotia or to a charity of one's choice. A kind hearted and gentle man who will long be remembered by his loving family and many friends. BLACKHALL, Gordon Lawrence (Larry), Lt (01 Nov 1932 - 01 May 2012) - passed away peacefully at Langley Memorial Hospital after a valiant battle with several health challenges. Predeceased by his father and mother, Gordon and Flora Blackhall of Toronto. Survived by his loving family: wife Patricia (nee Clapp), son Mark (Victoria), daughter Michele (Alden, and granddaughter (Leah) and daughter Alison (Terry), his sister Joanie Blackhall, sister in law Mildred Greenwood and many nephews and nieces. Larry served in the Canadian Armed Forces (Navy) for 30 years and loved to tell stories of his travels. He will be remembered as a champion squash player, for his musical and artistic talents and also for his many contributions to the community of Aldergrove such as creating the original Aldergrove Minor Hockey Association logo, painting the mural for Wix Brown Elementary school, and his political cartoons for The Aldergrove Star. Please join the family at the Aldergrove Legion (#265) on May 23, 5-7pm. In lieu of flowers, donations may be made to the Aldergrove Legion (#265), or the charity of your choice. "But to every sailor, comes time to drop anchor, haul in the sails, and make the lines fast. You deep water dreamer, your journey is over. You're safe in the harbour at last." BONNEAU, Bruce (28 Jan 1959 - 15 Apr 2013) - age 54 of Dartmouth, passed away peacefully from complications of cancer, surrounded by his family on April 15, 2013 in VG hospital. BOYD, Clyde Austin - 82, of Mahone Bay, Lunenburg County, passed away August 20, 2007 in the Veterans Unit at the Fishermen's Memorial Hospital, Lunenburg. Born in Yarmouth, he was the son of the late Keith and Sarah (Eldridge) Boyd. He was a veteran of the Second World War, having served with the Royal Canadian Navy and was a member of the Royal Canadian Legion Branch 49 in Mahone Bay. He retired from Eaton's Financial Services before moving to Mahone Bay. He was a member of St. Johns Lutheran Church, Mahone Bay. He is survived by his wife, the former Lillian Wentzell; sons, Gregory, Bridgewater; Michael (Lorraine), Dartmouth; daughters, Susan Boyd, Bridgewater; Ann (Peter) Roberts, Halifax; grandchildren, Amanda Roberts, Harrison Boyd, Evan Thibault; sister, Catherine Warner, Grimbsy, Ont. A public graveside service will be held 11am Friday in the Dayspring Cemetery, Pastor Stephen Kristenson officiating. No flowers by request. In lieu of flowers, memorial donations may be made to the Parkinson Foundation of Canada - Maritime Region 5475 Spring Garden Rd., Suite 407 Cornwallis House, Halifax, B3J 3T2, Victorian Order of Nurses, Lunenburg County Branch, St. John's Lutheran Church, Mahone Bay, Branch 49 Royal Canadian Legion Poppy Fund, Mahone Bay or the charity of your choice. BROUGHM, Harley Gordon, C2SH4, RCN - 79, a resident of Harbour View Haven Home for Special Care, Lunenburg, Lunenburg County, passed away February 19, 2007 at Fisherman's Memorial Hospital, Lunenburg. Born in Lockport, he was the son of the late Ruby (Burke) and Ross Broughm. He was a veteran of the Canadian Navy and a member of the Royal Canadian Legion and the WO's and Sgt. Mess in Halifax. He is survived by daughters Ann Broughm-Smith, Dartmouth; Gaynell Broughm, Shearwater; sons Vincent and Kim Broughm, Hebbville; Harley Broughm, Grand Lake; Wayne and Krystal Broughm, Pleasant Harbor; step son Terry Swim, Lockport; brothers Ross and Regina Broughm, New Glasgow; Richard and Helen Broughm, Lockport; Robert and Shirley Broughm, Lockport; 9 grandchildren; 1 great grandson; several nieces and nephews. He was predeceased by his sister Evangeline; brothers, Earl, Arnold in infancy. There will be no visitation by request of the family. A memorial service and burial will take place in the spring. Memorial donations in Harley's memory may be made to the Royal Canadian Legion Poppy Fund or the Veterans' Memorial Park, Bridgewater. BROWN, Rodney Leslie - age 54, passed away on March 20, 2016, after a brief stay in hospice care in Jacksonville, Fla. Cremation has taken place and Leslie’s ashes will be buried beside his father in Zion Cemetery, Hepworth, Ont. A Memorial Service/Celebration of Life will take place in Nova Scotia and will be held towards the end of May for family and friends; date, place, and time to be decided shortly. Rodney Leslie was born in Wiarton, Ont., to the late Arnold Rodney Brown and Margaret Gale Starratt on September 14, 1961. He was raised and attended school in the town of Petrolia. He served in the Canadian Navy, both on surface ships and as a submariner. For the past few years he worked for himself after starting his own company that specialized in website optimization. He is survived by his wife, Cyndy; his son, Damien; his stepdaughters, Andrea and Kristen; several grandchildren, and his mother, Gale Starratt; his sisters, Beverly and Diana, and his brother, Joseph. He is also survived by nieces, Shelbi, Michaela, and Alexis, and many uncles, aunts and cousins. Donations can be made to the Heart and Stroke Foundation in lieu of flowers. Our family wishes to extend our sincere thanks to the nurses and doctors at Jacksonville Memorial Hospital and the nurses and doctors at the Community Hospice Hadlow Center for Caring, for their tender loving care. BURROWS, S.E. Dean, Slt - passed away Nov. 20, 2010 at CFB Borden. He was completing The Logistics Officer's Training course. He was due to return to his home base of CFB Esquimalt, in Victoria BC on December 15, 2010. Dean served 24 years in the Canadian Navy, working his way up one promotion at a time until he attained the title of SL/T. He served on many ships during his career. And served his time in the Persian Gulf, and was part of the recovery effort in New Orleans (Katrina) as well as many other places in the world. Dean was a graduate of Royal Roads University and received his Bachelor of Commerce. Dean received two peacekeeping medals and his CD. Dean was born to Merton and Myrna Burrows on April 12, 1960, at Soldier's Memorial Hospital, Middleton, Nova Scotia. Besides his parents (Terrace Bay, Ont) he is survived by his wife of 24 years Kathleen (Spooner) his daughter Alicia, and his son Christopher, all of Victoria, BC; a brother Scott (Nancy) Simcoe, Ont; sisters Charlene (Kevin) Bonnyville, Alta; Lisa (Brad) Stony Plain Alta; and Teresa (Bill) Terrace Bay, Ont. Also Dean's maternal grandparents Stuart and Gladys McCann of Windsor NS; many aunts, uncles, cousins, nieces and nephews also survive. A full military naval service of remembrance and celebration of life was held in Belmont Park, Our Lady Star of the Sea, RC church. Internment in Hatley Memorial Park (Niche) Victoria. Donations to the Heart and Stroke were much appreciated. 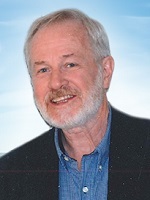 CALDWELL, Charles Roy (Chick) - age 72, died on April 13, 2016, in Annapolis Royal. Chick is survived by his doting wife, Sherry Caldwell; his son, Brock Caldwell (Kristen Caldwell); his grandson, Sam Caldwell; and his sister and brothers, Rhoda Tanner, Carl, Gene, Phil, Blaine, and Bruce Caldwell. He was predeceased by his brothers, Herbert and David Caldwell and his sister, Beatrice Guy. Chick was born on February 23, 1944, in Falmouth, to parents Herbert and Edith Caldwell. As a young man, Chick joined the Navy, where he served as a Signalman and then a Physical Training Instructor. After his 21-year military career, he attended NSCC, where he earned his Human Services Certificate, followed by employment with the Annapolis Valley Regional School Board as an Educational Assistant. Chick, doing what he loved doing, served students for numerous years and continued to work with them right up to his sudden death during an art outing. On December 20, 1966, he married Sherry Lynn Trethewey in Halifax and they had one son. Chick was a beloved family man and a caring father to his only son, Brock, and adoring grandfather to his only grandchild, Sam. Chick was a social, active man who was deeply involved in the Annapolis Royal school community. Chick was a coach for numerous school sports teams over the years, where his natural sense of fairness, decency and compassion impacted many students and staff members. His family and friends will remember him as a kind, loyal, generous person whose great sense of humour endeared him to all, especially his buddies on the Annapolis Royal Golf Course. A memorial gathering is scheduled for Sunday, April 17th at 2 p.m., in Kaulbach Funeral Home and Cremation Service, Annapolis Royal. All are welcome to attend and celebrate Chick’s life. Donations can be sent to the Annapolis West Education Centre Student Council. CAREY, Paul - 84, of Bridgewater, formerly of Voglers Cove, Lunenburg County, passed away August 20, 2005 in the South Shore Regional Hospital, Bridgewater. Born in Wittless Bay, Newfoundland, he was a son of the late Jerimiah and Margaret (Leyte) Carey. He was a veteran of the Second World War serving with the Royal Canadian Navy in convoy duty in the North Atlantic. He was employed by Maritime Tel and Tel for over 30 years. He is survived by daughters, Beverly (Richard) Zwicker, Italy Cross; Janet (Greg) MacNeil, Italy Cross; sons, Norman (Lynn), Terrace, B.C. ; Leonard (Brenda), Webster, N.Y., USA; 10 grandchildren; 9 great grandchildren; several nieces and nephews. He was predeceased by his wife, the former Eleanor Lohnes; a granddaughter, Meaghan Carey, brothers, Aidan and Vincent; sisters, Elizabeth and Margaret. There will be no flowers or visitation by request. A memorial service will be held 3:30pm Monday in Sweeny's Funeral Chapel, Bridgewater. Burial will be held in the Maple Hill Cemetery, Voglers Cove at a later date. Memorial donations may be made to the Maple Hill Cemetery Fund, Voglers Cove or the charity of your choice. CARRUTHERS, Howard Keith (04 Jul 1942 - 30 Jul 2013) John 14: 1-4. Howie went to be with Our Lord. His gentle spirit will forever be remembered and missed by his friends and family. Born in Grandview, Manitoba, he served his country in the Royal Canadian Navy for twenty years. Beloved husband of fifty years to Sandra (nee Thompson), beloved father to Krista, cherished grandfather to Phelan, Sahara, Sebastian and Aurora; great-grandfather to Trinity and Lilliauna; dear brother to Edna, Joan, Leslie(Buddy), Edward and Bill. Howie was laid to rest in Bracebridge Municipal Cemetery, Ontario on August 3, 2013. CHAMBERS, Ronald Joseph - 72, East Dalhousie, Kings Co., passed away on Wednesday, May 26, 2004 in South Shore Regional Hospital, Bridgewater. Born in Fenelon Falls, Ontario, he was a son of the late Robert and Jessie (Fryer) Chambers. Ronald joined the Royal Canadian Navy in 1951 at the age of 19 and served on the HMCS Ontario, Quebec, Bonaventure, Kootenay, Cape Scott and Protecteur. He retired in 1972 where he then continued to work at the Halifax Dockyards as a Paint and Preservation Officer and after 32 years of service with the Canadian National Defense, he retired. He was a member of the Royal Canadian Legion, branch 102, New Germany and of the Hull - Techs Association. Surviving are his wife the former Agnes (Nan) Park. Daughters, Sherry (Bert) Gouglas, Ont. ; Karen (John) Gilhen, Whites Lake; Debbie (Roger) Janes, Bridgewater. Son, Steven (Dana), Ontario. 4 granddaughters, 1 great granddaughter. Sister, Bernice Geary, Ont; brothers, Raymond (Sharon), Ralph (Irene) all of Ontario; Roland (Sadie), Cape Breton, several nieces and nephews. He was predeceased by a brother, Walter. No visitation at the funeral home by request. Memorial service 3 p.m., Saturday, May 29 at the Royal Canadian Legion Hall, New Germany. Burial at a later date. The family has requested no flowers, however, you may plant a seed in Ronald's memory. Donations may be made to the Canadian Cancer Society. Funeral arrangements under the direction of Sweeny's Funeral Home, 4895 route 10, New Germany. CHARPENTIER, Leo J.G. P1RM (06 Aug 1934 - 09 Oct 2012) - Leo passed away on October 9, 2012 at Royal Columbian Hospital in New Westminster, BC. He is predeceased by his parents, son Michael and his sister Lucy. Leo leaves behind four sisters, Judy, Ruby, Claire and Betty. He will be sadly missed by his wife Alice, his sons Robert and George, his daughter in law Debbie, and his two grandchildren Matthew and Jeremy. 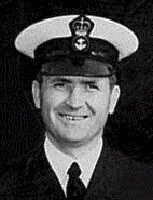 Leo served in the Royal Canadian Navy, as a communications officer from 1955 to 1977. After retiring he opened two small businesses in Aldergrove. After the businesses closed, he and Alice moved to Langley. Eventually heart disease and diabetes took its toll. Leo suffered a heart attack on August 3rd and on October 9th, he died of complications. A Memorial Service will be held on Monday, October 22nd, 2012 at 2:00 p.m. at the Royal Canadian Legion in Aldergrove, BC. "Fair Winds and Following Seas"
CORMIER, Clarence Noel, CD, CPO2 - was born in Moncton New Brunswick on 25 December 1938. He passed away peacefully in his sleep after suffering a stroke on 8 April 2016 at Moncton City Hospital. CPO2 Cormier (“Corm” to some) joined the RCN in 1957 as a Naval Radio Operator and retired in Sept 1986 where he moved back to his home town of Moncton and component transferred to the Militia with 36 Service Battalion. Although officially now an Army Master Warrant Officer he insisted that he be called “Chief” much to the chagrin of his Regimental Sergeant Major (who was a Chief Warrant Officer) up to his final retirement in 1992. His first ship was the “old” Athabaskan where he slept in a hammock. He sailed on many other ships during his 29-year career including Crescent, Assiniboine, Kootenay, Nipigon, Chaleur, Chignecto, Fundy, Skeena, Saguenay, Restigouche, Ottawa, Athabaskan, Iroquois, and Algonquin. 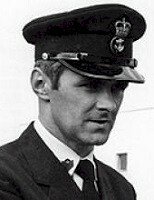 During his career he endured a “punishment posting” to HMCS Donnacona as RSS Staff and a shorebound posting to CFS Aldergrove as Chief of the Red Watch. He is survived by his wife of 54 years, Gloria Marguerite Cormier, his children Mitch, Marc and Marcel, and their wives Tonya, Nancy, and Kim. He will be missed by all of his grandchildren, Mellissa, Linda, Elizabeth, Floyd, Sandra, Laura, Allan, and Caitlan, and his great-grandchildren Anthony, Kayla, Memphis, Dallas, and Willow. Fair winds and following seas Chief. Your sons have spliced the main brace. CORRIGAL, Charles C., P1RM - It is with great sorrow the family of Charles C. Corrigal announce his passing. Chuck was born Sept 27 1938 and was raised in the Prince Albert area. He joined the Navy in 1956. He was with the forces for 26 years and saw much of the world. In 1960 he met and married the love of his life Terri, together for 53 years they raised 3 children. After leaving the Navy Chuck worked as a driver, a security guard, a sawyer and a dry cleaner at P.A dry cleaners for number of years. Chuck retired in 1998 and moved to Birch River Manitoba. After a stroke in 2011 Chuck and Terri returned to P.A in February 2012 After a short battle with Cancer Chuck passes away August 19, 2014. He was predeceased by his parent, 2 Brothers, and 2 sisters. Chuck is survived by his wife Terri and 3 children, Tammy (Alan) Kilbank of Fort Sask AB. Kevin (Glenda) Corrigal of Sturgeon county AB. Sandi (Greg) Smith of P.A His Grand children, Brandi-Rai (Jeff) LaBlanc, Andrea (Scott) Swenson, Gregory (Courtney) Smith, Thomas Smith, Mike Corrigal, Taylor Corrigal his Great grand children, Tyson Jackson, Ella and Colby. Sister-in-law Evelyn Corrigal many nieces and nephews and a very dear life long friend Art (Linda) Yockey. A big thank you to palliative Home care for all their care and respect toward Chuck. CRUICKSHANK, Cecil Roland, V17415, RCNVR / C1FC, 10144-H, RCN (served 07 Apr 1941 - 21 Feb 1969) - Cecil passed away peacefully at the Hants Community Hospital, Windsor, NS on Tuesday, August 13, 2013. He was born on February 25, 1923 to parents the late Grace Irene Thompson and Hamilton Pringle Cruickshank. He spent most of his youth in London, ON. He served 27 years in the Canadian Navy; during WWII he took part in convoy in Atlantic, Murmansk Run, France/Germany. Later he was a GI and FC. He served on various ships, Ottawa HQ, Hamilton and Halifax. After the Navy he had a career in the federal public service in Ottawa and Halifax, ending his career as Area Personnel Manager (Atlantic) for Health Canada. In retirement he enjoyed many winters in Mexico. Learned how to wind surf and play tennis. He loved to dance and was often one of the last on the dance floor. He was a founding member of Atlantic CPO'S Association. Also a member of the Pacific CPO's Association and the Canadian Legion 009. Cecil met his wife, Evelyn in 1955 at Point Edward Naval Base, C.B. Besides his wife, he is survived by his daughter Sherry (Jim Baskerville), Thorndale, ON; three grandchildren Renee (Brian), Roni (Randy) and Bill; great grandchildren all of ON and special niece Diane Green. In keeping with Cecil's wishes, cremation has taken place. A celebration of life will be held at the Windsor Legion on Sunday, August 25, 2013 at 2pm. Family flowers only please. In lieu of flowers, donations in Cecil's memory may be made to the charity of the donor's choice or the Canadian Naval Memorial Trust, HMCS Sackville (P.O. Box 99000, Stn Forces, Halifax, N.S. B3K 5K5). "Those we love don't go away; they walk beside us every day. Unseen, unheard, but always near, so loved, so missed, so very dear"
DONALD, Terrance William (Terry) (27 Feb 1959 - 07 Apr 2016) - It is with a heavy heart that we say goodbye to our beloved husband, father and friend, Terrance (Terry) William Donald. After a brief but courageous battle with cancer, he passed away on April 7, 2016 at home surrounded by his family. He is survived by his wife, Diane Donald; sons Matt Donald (Mandy), Adam Donald, and Cale Grieve; daughter, Rebecca Grieve; granddaughter, Elaina; and brother, Robert Six (Darlene). He was born February 27, 1959 in Port Moody to his mother, Phillis Donald (Chalmers) and father, William Donald. Spending 21 years of his youth at sea with the Royal Canadian Navy fighting for his country, he grew a love of travelling. In 2012, Terry's group of friends grew immensely after joining Veterans UN/NATO Canada. During his later years, Terry and Diane enjoyed travelling across North America on their Gold Wing motorcycle. He will be remembered for his contagious smile, frequent laughter and big personality. A Celebration of Life will take place on Saturday, July 9th, 1:00pm at the C.R. Legion, 301-11 Avenue. The family would like to thank all doctors, nurses and support staff who helped him through his difficult journey. In lieu of flowers, donations can be made in his honour to the Campbell River Red Cross. ELLIOTT, William Daniel - Passed away Wednesday, January 28, 2015 at age 80. Bill's 35 year naval career took him around the world and earned him the Order of Military Merit for outstanding service as a Warrant Officer. He had a great passion for his family, friends and neighbours, travel, sports, gardening and the outdoors and an overall adventurous spirit. He was predeceased by his wife, Helen Elliott; his special friend, Daphne Clark; his parents, Edward and Margaret Elliott and his pets Honey, Bonny, Sammy and Nicky. 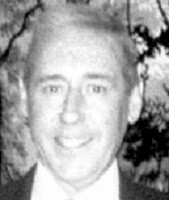 He is survived by his four children, Gary Elliott (Kim), Jan Ritz (Jerome), Donna Bigger and Tony Elliott (Bridget); his five grandchildren, Tasha Elliott, Tina Elliott, Tony Elliott Jr., Tommy Carey and Eric Elliott; his sister, Marion Kalapaca and her husband, Stan, and his brother Jack Elliott and his wife, Myra. In keeping with Bill's wishes, cremation has taken place and no funeral will be held. A great and caring man to all who knew him, our father, grandfather, friend and neighbour will be dearly missed but remembered forever. Arrangements entrusted to Sweeny's Funeral Home, #4895 route 10, New Germany. EVANS, Roy Nash, LCdr, RCN, CD - born in Wilmot NS, passed away suddenly Saturday, October 18, 2014 at home. He was a son of the late Herbert (born in England) and Elsie (Nash) born in Pennsylvania. Roy graduated from Middleton High School in 1947, graduated from NS Teachers College in 1948 & from McGill University in 1954. 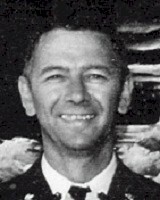 Roy taught school at Bridgetown High from 1954 to 1958. He joined the R.C.N. in 1958 as Sub Lt as an Instructor Officer & retired from R.C.N. in 1980. Upon retiring he operated the family farm in Kingston. Roy also operated, in conjunction with Katharine, the business "Ewe Wear" sheepskin products until 1996. He built a new retirement home in 2003 & enjoyed his retirement. Roy is survived by his wife of 60 years, the former Katharine Whitman; daughters Cynthia (Allan) Gates, Abbotsford, B.C. ; Katharine Evans (Bertram Hudgins), Kingston; sons Herbert Evans (Barb Keddy), Millville and David Evans (Julie Spinney), Kingston; brother Lloyd (Shirley) Evans, Wilmot; grandchildren Jasmine, Daniel, Sarah, James, Caitlin, Zack, Adele, five great grandchildren; several nieces and nephews. He was predeceased by a son Stephen and a brother Ronald. By request, cremation has taken place. A memorial service was held on Tuesday, October 28 in the Middleton Funeral Home, 398 Main Street, (902) 825-3448, Rev. Joel Hardy officiating. Interment will be in the Holy Trinity Anglican Cemetery, Middleton. By request, family flowers only. Donations in memory may be made to the Salvation Army or charity of your choice. FILSINGER, Wilfred L.G. (Phil), MWO, CD1 (1938-2016) - It is with great sadness that we announce the sudden passing of Wilfred (Phil) Filsinger on 20 April 2016 at the Valley Regional Hospital in Kentville, NS. Phil is survived by his wife Marilyn (Gilkie) of Wolfville, NS; daughters, Pamela (Mike) Browning, Stillwater Lake, NS; Paula Filsinger of Timberlea, NS and son, Jeffrey (Nancy) Filsinger of Petawawa, ON. Grandfather to Jordan Cole, Kingston, ON; Clayton Filsinger, Petawawa, ON; Benjamin Filsinger, Ottawa, ON; and Peyton Filsinger, Timberlea, NS and Great-Grandfather to Cashton and Reilly. Uncle to Donald Filsinger, Ottawa, ON and Holly Gilkie, Halifax NS. He was predeceased by his parents Wilfred and Florence (nee Melanson) Filsinger of Chatsworth, ON and his sister Mary. Born in Hanover, ON he joined the Royal Canadian Navy at the age of 17, serving on minesweepers, frigates and the Bonaventure. After a short time away from the military he joined the Air Force and had many postings across Canada and served on a peacekeeping mission to Egypt. After 25 years of military service he joined the Public Service to serve his country for another 17 years. Phil was a great fastball pitcher in his early years and was an avid sports enthusiast taking over the TV remote wherever he went to check to see if the "game was on". He loved woodworking, refinishing furniture and making gadgets. He was very meticulous about his tools, as well as with making his wine and beer which everyone enjoyed. He loved to golf, vacation at their timeshare in Virginia and spending time in Myrtle Beach. He spent many hours playing board games and cards with friends and family. Special thanks to the Doctors and Nurses at the Valley Regional Hospital in the ICU, 3rd floor surgical and medical wards and the emergency ward for the great care that they gave to Phil. Cremation has taken place. There will be no visitation, by request. A Celebration of Phil’s life and reception will be held at 11:00 a.m. Monday, April 25, 2016 in the White Family Funeral Home, Kentville, Reverend Judith Tod officiating. In lieu of flowers, donations can be made to the Valley Regional Hospital in Kentville or to a charity of your choice. Funeral arrangements have been entrusted to the White Family Funeral Home and Cremation Services, Kentville. FLEMING, George C. (03 Jun 1936 - 10 Apr 2016) - 79, of Dartmouth passed away peacefully in the Halifax Infirmary Site Q E II on April 10, 2016, born in Vernon, BC. He was the son of the late Alexander and Odelia (Campbell) Fleming. He is survived by his loving children George (Connie), James (Anita), grandchildren Ashley (Justin), Jennifer, Alexander and a brother Glenn (Beryl). He was predeceased by his loving wife of 57 years Avril J. Beattie on April 3, 2016 and a sister Betty. A memorial service will be held at 2pm on Saturday April 16, 2016 in Trinity Anglican Church, 321 Main Avenue, Halifax, Rev. Leonard Bednar officiating. Burial will take place at a later date. In lieu of flowers memorial donations may be made to the Heart and Stroke Foundation or Trinity Anglican Church. FRAUZEL, Glendon Arthur (13 Oct 1930 - 28 Apr 2011) - of LaBelle. It is with heavy hearts that the family of Glen Frauzel announce the passing of a deeply loved husband, father, grandfather, great grandfather, brother, uncle and friend. He passed away peacefully with his family by his side on Thursday April 28, 2011 at the Victoria General Hospital. Born on October 13, 1930 in Chelsea Nova Scotia he was the son of the late Charles and Frances (Butler) Frauzel. Glen served 28 years with the Royal Canadian Navy, joining in 1949 as Press Operator. In 1960 he became a Clearance Diver, which he loved. When he retired in 1977 he was a Chief Petty Officer. After retirement Glen returned to Chelsea to operate a Strawberry Farm. He was an avid baseball fan and the type of gardener that could coax anything to grow. He was a long time volunteer Fireman and received the Award of Exemplary Service from the Chelsea & District Fire Department for 20 years service. Glen was a member of the Naval Divers Association, the Chelsea United Baptist Church and was a Director of the Maple Grove Cemetery. He will be lovingly remembered and never forgotten by his wife Lorraine (Rose), daughters Tracy , London England, Tara Davies (Scott) Dartmouth, Maryann Wentzell, Bedford, son Arthur (Cheryl) Pine Grove, sisters Elizabeth(Betty) Warrell, Cole Harbour, June Thurber, Pugwash, Evelyn Tabrett, Montreal, 6 grandchildren and 4 great grandchildren. He was predeceased by his sister Norma and brothers Paul, John and Roderick. There will be no visitation upon request. A celebration of his life will be held on Wednesday May 4 2pm at the Chelsea United Baptist Church, Pastor Angela Stewart officiating. Internment at the Maple Grove Cemetery, followed by a reception at the Chelsea & District Fire Department. Arrangements have been entrusted to Sweeny's Funeral Home, Bridgewater. In lieu of flowers donations may be made to the Maple Grove Cemetery Cenotaph Fund or the Chelsea United Baptist Church. HAMILTON, James A. (Jim), CPO (06 Dec 1932 - 13 Nov 2015) - passed peacefully away at his residence on Friday, November 13, 2015 James A. "Jim" Hamilton age 82 years. Predeceased by his first wife Marjorie; sisters: Pamela, Dianne and Denise. Leaving to mourn his wife Margaret (nee Thornhill); children : Jim (Mary), Linda Wagner (Al), Bruce (Pam), Doug and John (Marie); step children: Geraldine Kennedy (John), Harold Williams (Rosa), Jim Williams (Patricia), SueAnn Thistle (Dave) and Frank Williams (Eun Jae); grandchildren: Nigel, Timothy, Tammy, Sandra, Shelby, Mishelle, Brea, Meghan, Christine, Emma, Katharine, Teresa, Nathan, Ryan, Rebecca and Tara; six great grandchildren; sister Patricia; also a number of nieces, nephews, other relatives and friends. Visitation to be held at Barrett's Funeral Home, 73 Commonwealth Avenue, Mount Pearl on Sunday from 2-4pm and 7-9pm. Funeral service to be held from Barrett's Mount Pearl Chapel on Monday, November 16, 2015 at 11:00 a.m. Cremation has taken place and the interment will be held at a later date. No flowers by request. Donations in his memory may be made to The Dr. H. Bliss Murphy Cancer Care Center. HARLEY, Jack Charles - Wentzell Lake, Lunenburg County, passed away on Sunday, November 13, 2005 at Soldier's Memorial Hospital, Middleton. Born August 23, 1920 in Halifax, he was a son of the late John P. and Neva (Ettinger) Harley. Jack had his beginning in the Baptist church denomination as an early member of Bayers Road United Baptist Church, Halifax; finally, as a serving member of Barss Corner United Baptist Church, Barss Corner, Lunenburg County. Jack had retired from a colorful career in HMC Dockyards, Halifax. Entering the apprenticeship program in 1937 on completion of 4 years and many engineering courses, at the Nova Scotia Technical College, he graduated as a journeyman machinist. In January 1942, Jack joined the Royal Canadian Naval Volunteer Reserve and joined his ship of new construction in Port Arthur (Thunder Bay), Ontario. Jack served his country admirably as an Engine Room Artificer, on the North Atlantic, English Channel and Bay of Biscay, contributing to the "D-Day" Invasion forces of Europe. At the end of the war, Jack returned to HMC Dockyard, Halifax, Ship Repair Unit as a Journeyman Machinist, rising in the ranks to Senior Foreman Machinist. After a favorable career as machine ship foreman, Jack accepted the challenge as Submarine Project Manager for submarine refitting and on the completion of nine years and forty years of continued service, Jack accepted retirement. In recognition of valuable service, Jack was awarded the Centennial Medal and the Queen's Silver Jubilee Medal on the occasion of the twenty-fifth anniversary of the succession of Her Majesty the Queen to the thrown. Jack was also a loyal member of St. John's Masonic Lodge #2, A.F.&A.M. of the Masonic Order. Surviving are his wife, Catherine (Slack) Rigby - Harley. Daughters, Beverley (Doug) Allen, Moncton; Marlene Paskevicius, Ontario. Son, Richard, Kentville. Grandchildren, Ashley (John) Lanier, Matthew Robinson; Amy Paskevicius, Michael Paskevicius; Jason Harley, Jenna Harley. Great grandchildren Alexander and Nicholas. Twin sister, Neva (Joseph) Arab, Halifax. Step children, Deb McBean, Cindy Anstey, Stephen Rigby; several step grandchildren; two nieces. He was predeceased by his first wife, Dorothy (Sym) Harley; brother, Frank. Service of Celebration for Jack's life will be 2 p.m. Wednesday in Barss Corner United Baptist Church, Rev. Jennifer Joudrey officiating. Family interment will follow in Barss Corner Community Cemetery, Barss Corner. Family flowers only, donations may be made to the Canadian Cancer Society or charity of choice. Funeral arrangements entrusted to Sweeny's Funeral Home, 4895 route 10, New Germany. HEBB, Lloyd E. - 87, Hebbville, Lunenburg Co., passed away suddenly on June 28, 2009 at South Shore Regional Hospital, Bridgewater. Born in Bridgewater he was a son of the late Edward E. and Alice (Wamboldt) Hebb. He served in the Royal Canadian Navy from 1941-1944. He operated heavy equipment throughout his working life until he retired from his own business. Surviving are his wife of almost 63 years on June 29, the former, Lillian Emeneau; sons, Lemuel Sr. (Heather), Gregory, all of Conquerall Mills; Paul (Joanne), Hebbville; grandsons, Lemuel Jr. and Patrick; granddaughters, Caila, Freya, Kathryne and Elizabeth; great grandchildren, Brodie, Ethan, Kennedy, Sydney and Avery: sister Jean Silver, Broad Cove; nephews John and Peter Silver. A public graveside service will be held 2 PM Thursday July 2 in the Hebbville Community Cemetery., Rev. Paul Jensen officiated. Arrangements were entrusted to Sweeny's Funeral Home, Bridgewater. Flowers were from the immediate family only. Donations may be made to St. Paul's Lutheran Church or charity of choice. The family of the late Lloyd Hebb sincerely thanks all those who remembered them in any way during their recent bereavement. Special thanks to the South Shore Regional Hospital for their care and attention. 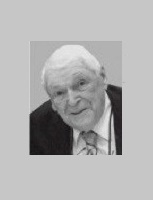 JOHNSON, Harry (04 Jun 1920 - 08 Jan 2014) - of Mayerthorpe, AB, formerly of Whitecourt, AB, passed away at the age of 93 years. Harry was born in Fallis AB, June 4, 1920 and moved to Whitecourt when he was around ten years of age, making that his home until the last two years of his life. He enjoyed many interests, including teaching himself to play the accordion, and hunting with his brother, Helmer. As a young man Harry worked for Western Construction in the lumber industry until 1939 when he enlisted in the Royal Canadian Navy with the submarine patrol, serving on the Fairmiles #102 off the east coast of Canada. Upon his return from the war Harry logged and milled for Whitecourt Lumber. Around 1949, Harry guided one of the first oil exploration parties to go west from the Whitecourt area, eventually making several trips with photographers and seismic parties travelling upriver in a boat built by his father, Matt, brother, Helmer, and Harry. He married the love of his life, Catherine MacKinnon in 1957 and they enjoyed many happy years together. Harry served the community of Whitecourt as a Councillor for 15 years, was Master of the Masonic Lodge (1972-73) and a Board member of the Whitecourt and District Heritage Society. Harry is survived by two step-daughters, Jean (Henry) Madlung and Linda Paquette; grandchildren, Dan (Brenda), Julie, Craig (Carol), Tom (Kim), Clayton, Cathy, Corenne, Joanne, and Debbie; several great-grandchildren; and one brother, Helmer Johnson. Predeceased by his wife, Catherine; and step-sons, Rod and Gordon. Memorial Service Saturday, January 25 at 2:00 p.m. at Whitecourt United Church, 5201 – 50 Street with Reverend Alwin Maben officiating. Inurnment in Whitecourt Cemetery in the Spring of 2014. In lieu of other tributes, donations may be made to Whitecourt United Church or to the charity of one’s choice. JONES, Donald Mierion (Don) (02 Jan 1926 - 12 Apr 2016) - age 90 of Dartmouth passed away Tuesday, April 12, 2016 in the Veteran’s Memorial QE II. Born in Bienfait, Saskatchewan, he was a son of the late Ed and Hanna Jones. Don served for 33 years in the Canadian Armed Forces. He was a veteran of WWII. He achieved the rank of Captain and taught at Shearwater Air Force Base for 10 years before retiring in 1977. A beloved father and grandfather, Don is survived by his son, Glenn (Kelly), Cole Harbour; daughter, Coralee, Waterville; grandchildren, Cole, Emily and Autumn. He was predeceased by his wife, Phyllis; son, Donald George and his brother, Richard. Funeral service will be held 1pm Friday, April 15 in Atlantic Funeral Home, 771 Main Street, Dartmouth. Burial in Dartmouth Memorial Gardens. In lieu of flowers, donations may be made to the Alzheimer’s Society of Nova Scotia. 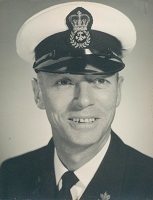 JOUDREY, Charles George LeRoy, LCdr, RCN - 83, Chester Basin, Lunenburg county, Nova Scotia, passed away November 28, 2006, in the South Shore Regional Hospital, Bridgewater. Born in Bridgewater on August 29 1923 he was a son of the late Charles and Leda (Ramey) Joudrey. Charles was a veteran of the Royal Canadian Navy having served from 1943 to 1966. He was a graduate of both the University of New Brunswick with a degree in Electrical Engineering and St. Mary's University with a degree in Education. He taught at the Nova Scotia Institute of Technology and also owned and operated Monocatri Marine Ltd. He is survived by his wife Sheila; daughters Linda and Paula Joudrey both of California; Anita Joudrey, Fredericton New Brunswick; Son David (Cathy) Aurora, Ontario; sister Shirley Pidgon, Campbellford, Ontario; grand children Kelsey and Morgan, Aurora Ontario. Besides his parents Charles was predeceased by his brother Lenard and sister Pauline Joudrey. Cremation has taken place and the ashes will be scattered as sea during a service in the spring. Memorials in Charles memory may be made to the Canadian Cancer Society or the Parkinson Foundation. Funeral arrangements entrusted to Sweeny's Funeral Home, Bridgewater. 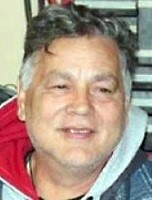 KENDALL, Herman (BK) - 57, Bridgewater, died March 3, 2007 in South Shore Regional Hospital, Bridgewater. Born August 21, 1949 in Bridgewater, he was a son of Eldon and Greta (Hirtle) Herman, Italy Cross. He was a retired veteran of the Royal Canadian Navy having worked for twenty-three years, serving with NATO overseas. He previously lived in Ontario for over twenty years, having moved back to Nova Scotia five years ago with his family, to enjoy his love of hunting and fishing. He was a member of the Royal Canadian Legion, branch 24, Bridgewater. Besides his parents, he is survived by his wife, Jeanette (Bourgeois) Herman; son, Kyle, Bridgewater; brothers, Wayne (Marilyn), Bridgewater; Blaine (Chriss), Italy Cross; sisters, Sandra (Melvin) Himmelman, LaHave; Dale (Kim Butcher), Halifax. No visitation at the funeral home by request. Memorial service, 11 a.m. Saturday, March 10 in Sweeny's Funeral Chapel, Bridgewater, Rev. Eric Campbell officiating. Private interment at a later date. A reception will follow the service in the Italy Cross Fire Department, Italy Cross. No flowers by request, donations may be made to Canadian Cancer Society, South Shore Regional Hospital or charity of choice. KEYSELL, Kenneth Roy - Age 91 of Shelburne Rd. Digby Co; passed away at home on April 13th, 2016. Ken was born in Port Smith, England, and was a son of the late Henry and Beatrice (Newman) Keysell. He was a Chief Warrant Officer in the Royal Canadian Navy and served during WWII. He was a member of the Hillgrove United Baptist Church, member of the choir and Deacon of the church. Ken loved to build model ships and tinker with his car. Surviving are his, daughter Susan (Michael) Mastrangelo, Montreal; son Paul (June) Butterworth, Newmarket, Ont. 7 grandchildren, 4 great-grandchildren, brother, Phillip of England; several nieces and nephews. Ken was predeceased by the love of his life, his wife, Hughina "Penny" (Vincent) Keysell; and brother, Harry. Visitation will be 7-9pm Saturday , April 16 from Jayne's Funeral Home,7 Birch St. Digby (902-245-2525). Funeral service will be 3pm Sunday, April 17, from the Digby United Baptist Church with Rev. Jeff White presiding. Interment in Hillgrove Baptist Cemetery. LANOUETTE, Gérard (13 Dec 1921 - 06 Apr 2016) - Veteran WWII/Korea - It is with profound sadness and sense of loss that we announce the passing of "Gerry", who will reunite with Marie-Reine (nee St-Germain), his beloved wife and soul mate for 46 years. Born and raised in Montreal, as the eldest of seven, predeceased by sisters Thérèse, Claire, Monique and brother Jean-Guy. Left to mourn him are his brother Jacques and sister Jeannine. Dear father of Claude (Suzanne) and Monique (Larry). Proud grandfather of Damien (Jennifer), Mathieu (Fida), Julie (Michael) and Jean Vincent (Mary). Great-grandfather to Mathew, Dominique, Nathaniel, Sophia, Gabriella, William, Nicholas, Sophie, and Vincent. Saddened by his passing is Madeleine Marion, longtime companion and caregiver. Recruited for the war effort by RCAF, he later joined the Royal Canadian Navy Reserves. In civilian life, Gerry enjoyed a long career with National Research Council, then transferred to the wind tunnels of the National Aeronautics Establishment. He was part of a team that designed, tested and proved prototypes for the Space Station's Canadarm and American Lunar Landing Module's Touchdown and Lift Off Mechanisms and the SAAB fighter pursuit jet. He enjoyed playing bridge and attained the title of Life Master against formidable opponents such as Jacoby, Goren, Cuthbertson, etc. Always giving of his time, Gerry was the First President of the Lake Pemichangan Property Owners Association, a post he held for many years. Gerry and Marie spent their summers at the lake, enjoying water sports and spending quality time with family and numerous friends. They wintered annually in Stuart, Florida and traveled extensively. A kinder and more generous man there never was. You've earned eternal rest! Salut Dad, Hug Mom for us! A special thanks to all the staff of Rideau II North at the Perley and Rideau Veterans' Health Centre for their compassionate care and devotion. You are amazing! A celebration of Gerry's life will be held at Lupton Hall on June 22nd at 11:00 am at the campus of the Perley, 1750 Russell Rd. In lieu of flowers, donations may be made to the Ottawa Heart Institute, the CNIB, or the Perley in his Memory. LEASK, Harold George, P1RM, born October 3, 1946 in Carmen, Manitoba. He leaves his wife Edie of 37 years, brother Gordon, many brothers and sisters-in-law, nieces and nephews. Harold was in the Canadian Navy for 25 years. He passed away the 24th of September, 2007 at MSA Hospital. Thank you to Dr. Lewis, ICU and 2 east staff at MSA. No flowers please. Donations to the Kidney foundation would be welcomed. A celebration of Harold's life will be held on Sunday, September 30th, 2007 at 1:00 at the Chapel at Henderson's Funeral Home, 34537 Marshall Road, Abbotsford, BC. Henderson's Funeral Home. LeBLANC, Raymond Jules - 81, LaHave, Lunenburg County, passed away on Tuesday, September 12, 2006 in Fishermen's Memorial Hospital, Lunenburg. Born in Moncton, he was a son of the late Leo and Julia (Leger) LeBlanc. He was retired from the Canadian National Railway after 36 years of service. He also served in the Royal Canadian Navy from 1942 - 1946. Surviving are his wife the former Marion Haughn; daughter, Cathy (Daryll) Mossman, LaHave; grandchildren, Danny (Jennifer) Mossman, California; Angela (Ben) McAfee, Lawrencetown, HRM; Wendy Mossman, LaHave. Sisters, Jacqueline Richard, Lorraine Young both of Moncton; brother, Henry LeBlanc, Moncton; aunt, Mary Bedford, Moncton. He was predeceased by a brother, Edgar. Visitation, 7 - 9 p.m. Thursday in Sweeny's Funeral Home, Bridgewater and where funeral will be 2 p.m. Friday. Brothers Edward Wilson and Stephen Sarty officiating. Burial will follow in the West LaHave Cemetery, West LaHave. In lieu of flowers donations may be made to the Fishermen's Memorial Hospital or The Gideon's Bible Society. LESLIE, Allan - passed away at South Shore Regional Hospital, Bridgewater on Friday, March 6, 2015 at the age of 80. Born in Invernesshire, Scotland, son of the late Jessie Anne (Lamont) and Stewart James Leslie. Allan was a devoted and loyal husband, father and Granda and will be forever missed. He will be remembered for his contributions to the formation of the Bridgewater Triple A Hockey League as well as to Minor, Junior and Senior Hockey and Soccer leagues in Lunenburg County. There will be no visitation at the funeral home by request. A private service for immediate family members and his shipmates with the Royal Canadian Naval Association will be held at Sweeny's Funeral Home, Bridgewater with Padre Alvin Westgate officiating. Burial will take place at a later date. In lieu of flowers donations may be made to the Kidney Foundation of Canada and the Canadian Cancer Society. The family would like to sincerely thank the staff of the Victoria General Hospital, Halifax and staff of South Shore Regional Hospital - 4th floor, Bridgewater for their dedicated and compassionate care. Arrangements entrusted to Sweeny's Funeral Home, Bridgewater. LESLIE, Duncan Ewing - passed away peacefully in Joseph Brant Memorial Hospital in Burlington, Ont. on Saturday, June 19, 2010, at the age of 87. Duncan Leslie, beloved husband of the late Mabel Florence, and cherished father of Carol Leslie, is survived by his treasured 'grand-babies', Haley, Breanna and Allison Pierce (Burlington); his brother, Alistair Leslie; his sister, C. Elizabeth Leslie (Windsor); his sisters-in-law, Aletha Johnson and Philomena Julien; and many nieces and nephews. He is fondly remembered by his 'main squeeze', Janice Voege (Michigan), and by the Pierce family. Duncan was a member of the Canadian Navy for 38 years, and a veteran of both the Second World War and the Korean War. He was a member of Wellington Square Lodge No. 725 A.F. & A.M. G.R.C., The Naval Officers Association of Nova Scotia, The Sackville Trust, and a supporter of the Nova Scotia branch of Telephone Pioneers of America. He was a great tinkerer and fixer of all things. His friends and family will all sorely miss the many stories and experiences he shared with them. Many thanks to the nurses of floor 6 south and 4 south of Joseph Brant Memorial Hospital for their kindness and patience. Duncan requested cremation with no visitation. He will be laid to rest beside his wife in Gate of Heaven cemetery in Lower Sackville, with a graveside committal service at a future date. In lieu of flowers, donations may be made to the Heart and Stroke Foundation of Canada or to the charity of your choice. We love you Gunky. LOGAN, Richard, CD, CPO1, RCN, RCNR - 83 of Pinehurst passed away Wednesday May 21, 2014 in South Shore Regional Hospital, Bridgewater. Born in Sychtyn Wales, he was the son of the late John and Marjorie (Oldcorn) Logan. Richard entered the Royal Navy as a boy Telegraphist March 1945. He served in the British Pacific Fleet 1947 to 1949, Ceylon West Radio Station 1949 - 1950, on various ships 1950 - 53. He was posted to Malta 1953 - 55 and served in three ships while in the Mediterranean. Richard joined the Royal Canadian Navy in 1956 and served in ships and shore establishments until finally discharged in 1984 from full time to reserved service.  He was a Chief Petty Officer 2nd Class in the Regular Force and a Chief Petty Officer 1st Class in the Reserve. Richard was a past President and Life member of the Royal Canadian Legion Branch 44 in Chester. His last elected office was Chaplain and continued acting Chaplain pro tem when required. Richard was also a Life member of the Chief and Petty Officers Mess, Halifax, a member of the Admiral Piers Royal Canadian Naval Association Branch and their Chaplain. He was a member of St. Stephens's parish, Chester, A licensed lay reader serving All Saints Anglican Church, Canaan. Ten years as a Warden and served on Parish Council. Retain part time residence in parish. Richard also was a lay reader in St. John in the Wilderness Anglican Church, New Germany. Richard is survived by his step daughter Linda (Raymond) Bedard, Pinehurst; grandchildren Michelle, Dale and Melissa; great grandchildren Natassja, Jeremie, Emma, Jacob and Cody; sister Pamela (John) Sumner, UK along with many nieces and nephews in the UK. He was predeceased by his wife Margery (Huskins); 2 sons in infancy, James William and Richard Arthur; sister Patricia Taylor. There will be no visitation at the funeral home. Funeral Service will be held 2:00 P.M., Tuesday May 27 in St. John in the Wilderness Anglican Church, New Germany, Rev. Juanita Barteaux officiating. Burial will be at a later date in Canaan Cemetery. No flowers by request. Memorial donation in Richard's memory may be made to Masonic Lodge Hillcrest #93, New Germany; Health Services Foundation of the South Shore; I.W.K. Children's Hospital or the Children's Wish Foundation. LONEY, Robert (Bob) - The death of Robert 'Bob' Loney of Lower Sackville occurred suddenly in Kissimmee, Fla., on April 17th, 2016. Bob was a veteran of the Royal Canadian Navy having served for 25 years in various ships and shore establishments as both a Stoker and Hull Tech. Bob is survived by his loving wife of 43 years, Marie; children, Shaun of Ontario; Danny (Marg) Gagnon of Cole Harbour; stepdaughter, Lisa (John) Nelson of Ontario; brother-in-law, Kenny (Nicole, Natalie) Mount of Elmsdale; sisters, Sue Belshaw of Ontario; Janie Loney of Ontario; numerous grandchildren. Bob will be sorely missed by his friends and neighbors as he was always willing to lend a helping hand. He was a frequent blood donor exceeding 100 donations. A Celebration of Life will be held at a later date. Memorial donations to War Amps Canada or a charity of choice would be greatly appreciated. MANLEY, Robert (Jack) - 75, Hebbs Cross, Lunenburg County, passed away July 3, 2006 in South Shore Regional Hospital, Bridgewater. Born in St. Catherine's Ontario, he was a son of the late James and Jillian (Dempsey) Manley. He was an avid fisherman, gardener and loved wildlife. He left the RCN in 1950 and went to work for an electrical contractor in Halifax, where he soon became electrical supervisor on many capital projects in Nova Scotia. In 1967, he became employed with the Electrical Department at Bowater Mersey Paper Company, where he worked until his retirement in 1990. He was a member of Royal Canadian Legion Branch 24, Bridgewater for over 40 years. Surviving are his step-daughters Renee (Wayne) Cook, Margie (Doug) Rafuse, Joanne (James) Whynot, all of Bridgewater; son Peter John Arthur Manley, Calgary; cousin Evelyn, Toronto; many nieces and nephews. He was predeceased by his wives, Kathleen E. (Morgan); Molly E. (Leverington). Following Jack's wishes, cremation has taken place under the direction of Sweeny's Funeral Home, Bridgewater. There will be no visitation at the funeral home by request. A public graveside service will be held Wednesday, July 12 at 11:30am in the Brookside Cemetery, Bridgewater, Father Robert Coote officiating. Flowers will be accepted. Memorial Donations may be made to the Arthritis Society of Nova Scotia or the Canadian Cancer Society. 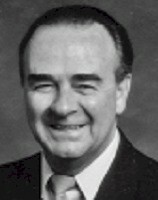 MAYO, Calvin Frazer, CD - 67 of West LaHave passed away on Sunday 23 January 2011 in the South Shore Regional Hospital, Bridgewater. Born in Burin, Newfoundland he was the son of the late Capt. Gordon and Ladona (Moulton) Mayo. Calvin served with the Royal Canadian Navy as an Avionics Technician. He was a Life member and past President of the Royal Canadian Legion, Branch 24. Calvin was also a member of the Masonic Lodge. He is survived by his wife Sylvie; son Blaine (Diana); sister Dona (Bob) Cormier; brothers Cyril (Patricia) and Kevin (Wendy); three beautiful grandchildren Daniela, Andrea and Leonard; and several nieces and nephews. Calvin was predeceased by his brother Capt. Robert Mayo There will be no visitation by request. A Legion Tribute Service open to the public will be held at 2:00 P.M., Saturday 29 January in Sweeny's Funeral Home, Bridgewater, Rev. Willis Ott officiating. Private family burial will be in Hillcrest Cemetery, Lunenburg at a later date. Family flowers only, please. Memorial donations in Calvin's memory may be made to the charity of choice. McCREADY, Samuel R. (Sam), RCNVR (22 Jul 1943 - 29 Aug 1945) - (06 Oct 1924 - 18 Mar 2007) - A resident of Chatham and formerly of Thamesville passed away peacefully at his home on Sunday, march 18, 2007, at the age of 82. Born in Wallaceburg, son of the late Nate and Daisy (Buckingham) McCready. Sam was a veteran of WW II, serving on a minesweeper out of Halifax. Beloved husband of Geraldine "Gerry" (Ross) McCready. Loving father of Bob & Jan, Dennis & Carmen, Leeanne & Barry all of Chatham, Todd & Cathy of Strathroy. Loving grandfather of Amy & Andrew, Brad & Dionne, Greg & Wendy, Geoff, Colleen & Shawn, Matthew, Sean, Samantha, and Ryan. Loving great-grandfather of Hannah, Emma, Austin, Teneshia, Bradyn, Jonathon, Ashlyn, and Terrell. Dear brother of Nina McLellen, Margaret McNaughton, Mary Jan & Stan Ford, Alice MacDougall, Jim McCready, Alvin & Helen McCready. Also survived by sisters-in-law Lola McCready, Aima Boylan and Jean James. Predeceased by a brother Dave McCready, and brothers-in-law Hugh MacDougall, Gordon McLellan, Ron McNaughton, Gordon Boylan, Armund James, and a sister-in-law Shirley McCready. The McCready family received friends at the John C. Badder Funeral Home, 72 Victoria St., Thamesville, on Tuesday from 2-4 and 7-9 pm. The funeral service will be held in the chapel on Wednesday, March 21, 2007 at 11:00 a.m. with Rev. John Anderson of Chatham officiating. Interment Mayhew-Mt. Pleasant Cemetery, Thamesville. Donations may be made at the funeral home by cheque to The Canadian Diabetes Association or the Canadian Cancer Society. A tree will be planted in memory of Sam McCready in the Badder & Robinson Memorial Forest, Mosa Twp. McLEOD, Edward Donald McLeod - 75, of Bridgewater, passed away May 18, 2004 in the South Shore Regional Hospital, Bridgewater. Born in Toronto, he was a son of the late Finley and Sara (Hope) McLeod. He, served in the navy for 22 years. For many years, Ed was the manager of the Bridgewater Memorial Arena. He also was employed with both Teleglobe and South Shore Regional Hospital, Bridgewater, as a commissionar. He was along time member of Stadiconia Sailors Football team. He is survived by his daughter, Tina, Italy Cross; sons, Don, Ontario; Steve, Chezzetcook; Cliff, Woodstock, N.B. ; 7 grandchildren; sisters, Vera, Des Moines, Iowa; Ollie, B.C. He was predeceased by brothers, Barney, George; sisters, Alice, Lil. In keeping with Ed's wishes, there will be no memorial service or visitation. A public Legion Tribute service will be held Tuesday, May 25, 7pm in Sweeny's Funeral Chapel, Bridgewater. Burial of ashes will be held at a later date. No flowers by request. In lieu of flowers, memorial donations may be made to the Royal Canadian Legion Branch 24 Bridgewater Poppy Fund. PIHOWICH, Allan Joseph (Spike), P1RM - 76 of Aldergrove, BC, passed away peacefully after battling numerous health problems at Abbotsford Regional Hospital, September 9, 2014 on his 53rd Wedding Anniversary, holding his wife Jean's hand. He was born March 24, 1938 in Edmonton, Alberta to Mike and Florence Pihowich and is survived by his sister Elnora, brothers Grant, Terry and Brent, his son Gary (Leah), daughter Norine (Todd) and grandkids; Joseph and Brandi. He spent 22 years in the Canadian Navy and 15 years with the Department of Supply and Services. He was an avid collector and a stanch supporter of The Edmonton Oilers and Edmonton Eskimos. A service was held September 15, 2014 at Aldergrove Legion and the family would like to thank the staff of the Abbotsford Regional Hospital for their tremendous care. In lieu of flowers, donations can be made to the Canadian Diabetic Association or charity of your choice. ROWLEY, Alan LCdr, RCN (former P1SG) - Beloved Husband, Father and Grandfather passed away peacefully at the Menno Home on Thursday October 6. He leaves to mourn his wife of 57 years Margaret; sons Michael (Cindy), Paul (Moe); daughters Heather and Beverley; 9 grandchildren and 3 great-grandchildren. Also, in England 4 sisters, 1 brother and their respective families. Alan was born in Nelson, Lancashire England on the 9th of December 1925, moved to Lincolnshire at an early age then to Hertfordshire in 1939. He joined the Royal Navy at age 16 serving during WWII. He the then served in the Hertfordshire Police Force. Emigrated to Canada with his wife Margaret in 1954 after joining the Royal Canadian Navy and retiring in 1975 as Lt. Commander. This was followed by 13 years working for BC Ferries. Alan was involved in community affairs for many years working for his church and Kiwanis. A memorial service will be held on Thursday October 20th in Calvin Presbyterian Church 2597 Bourquin Crescent East, Abbotsford at 11:00am. In lieu of flowers, donations to Calvin Building Fund or a charity of your choice would be appreciated. Our sincere thanks to Dr. Pauls and all the staff at Menno Home East Wing for the excellent care given to Alan during his 5 month stay. TAYLOR, Stuart Edward, Lt, RCNVR - retired Pembroke optometrist, Royal Navy veteran, life member of the Royal Canadian Legion, and long-time local philanthropist, has died. He passed away peacefully at The Perley and Rideau Veterans Health Centre in Ottawa on Wednesday, March 30, 2016. He was 91. A Second World War Royal Canadian Navy veteran, Dr. Taylor served overseas, ending the war aboard an American submarine stationed in Bora Bora. 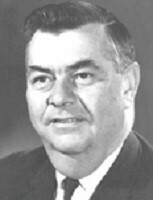 Postwar, he received an Optometry Degree at the University of Toronto, and served the community of Pembroke for many years from his office downtown. Stuart was also a passionate outdoorsman, gardener and a King’s Scout and leader at the YMCA Camp at Golden Lake. Gordon Taylor, one of his sons, said his father was on loan to the Royal Navy at the time, while a part of a task force being gathered to invade Japan. That was called off when that nation surrendered, following the atomic bombing of Hiroshima and Nagasaki. He said his father was a kind soul who loved gardens, horses, and the outdoors, as well as possessing a strong sense of humour. His dad also had the distinction of operating one of the longest ever optometry practices around, some 53 years. “I was lucky as my father became my friend,” Gordon Taylor said, a bond forged through fishing as part of the Caribou Fishing Club on Crutch Lake. In later years, he also learned all about the stock market from his dad, who took to keeping track of it as a way of keeping his mind sharp. One of Dr. Taylor’s proudest moments came on Feb. 16, 2013, when he was presented The Queen's Diamond Jubilee Medal, a commemorative medal created in 2012 to mark the 60th anniversary of Elizabeth II's reign. Presented to him by Senator Mike Duffy, it recognized his lifetime of work to make his community and country a better place. Then Mayor Ed Jacyno said Dr. Taylor and his family helped so many people and organizations over the years it was hard to keep track of them all. The Taylor family's more recent contributions to the community include the donation of land to the Pembroke Boys and Girls Club, on behalf of his late wife Jean, the addition of audio stations within the Champlain Trail Museum and Pioneer Village, the donation of a new library now named The Taylor Room to Calvin United Church, and the founding of the Legion Pipes and Drums, where he had bought all of the instruments and equipment to make it happen. The Stuart E. Taylor Family Pembroke Branch 72 Pipes and Drums was a lifelong dream of Dr. Taylor. When he decided to forge ahead with his dream in 2008, Piper Hugh Briand and drum major Harry Blackley began the task of assembling the band. Both Briand and Blackley had performed together with the 2 Canadian Guards Pipes and Drums during their time in the army. Dr. Taylor sponsored the band, supplying the uniforms, bagpipes and drums. By 2011 the band was ready to perform. Briand, who will be playing a lament during Thursday evening’s Legion memorial service, said it has become a proud legacy for Dr. Taylor, and an important part of the Legion, performing at Remembrance Day Services, parades and other special functions. Gordon Taylor said he and his father were watching the band march down the street one day, when Dr. Taylor tugged at his coat sleeve. “He tells me “How do you like to see your inheritance go up the street?” and laughs,” he said. “That was just Dad’s sense of humour.” Dr. Taylor, formerly of 231 Golf Course Rd., Pembroke, dearly loved husband of the late Jean Taylor (nee Briscoe). Dear father of Gordon Taylor (wife Rosemary), Ottawa; Barbara Blakney (husband Robert), Chemanus, BC; James Taylor, Dawson City, Yukon; and Dr. Lisa (Elizabeth) Taylor, Manotick. Grandfather to Jesse Taylor; Joshua, Jessica and Jade Blakney, and Symon Taylor. Step-grandfather to Ana Karina, Jacob and Caleb. Great- grandfather to Jacob and Jasmine Blakney. Son of the late J. Deacon and Gwendolyn Taylor. Friends may call at the Malcolm, Deavitt and Binhammer Funeral Home, 141 Renfrew St., Pembroke on Thursday, April 7, 2016 from 2 p.m. to 4 p.m. and 7 p.m. to 9 p.m. Members of the Royal Canadian Legion, Branch 72 are requested to assemble at the funeral home on Thursday for a service at 7:30 p.m. A funeral service will be held at Calvin United Church on Friday at 11 a.m. Memorial donations to the Pembroke Boys and Girls Club would be appreciated. THOMPSON, John - A funeral service was held at St. Patrick's Catholic Church for John Thompson of Sudbury who died peacefully at the Maison Vale Hospice on Thursday, April 7, 2016. He was 88 years old. Born in Leeds, England, John immigrated to Canada with his family at age four. He served in the Royal Canadian Navy as an aircraft mechanic before settling into his career as an industrial mechanic at Inco. John retired in 1985. He is survived by his beloved wife of 66 years, Rhona Thompson (O'Gorman). Loving father of Michael (Laura), James (Raye), Patrick (Vicky), Wendy (Rhéal Mallais), and Robert. Grandpa to Erica, Chrystal (Paul Prosperi), Tabitha (Eric McFarland), Jason (Amber), John, Sarah (Joel Quinn), and Jordan. Great-grandfather of Clairece, John, Julia, Evelyn and Franklin. Granddaughters Tiffany and Torry predeceased. Also survived by sister Katherine and brother Richard (Linda). Predeceased by brothers Harry and Peter, and sister Ethel. A modest, gentle man, John was involved in his church and his community. He served as Commanding Officer of the Admiral Mountbatten Sea Cadet Corps from 1967 to 1972. Before and during his retirement, John and Rhona spent many wonderful summers hosting friends and family on their houseboat "Hobo" on the West Arm of Lake Nipissing. Funeral arrangements by Lougheed's Funeral Home. Cremation and burial at Parklawn. Donations to Maison Vale Hospice would be appreciated. WILE, Philip Oliver, CPO WS, RCN - 90, of Dartmouth, passed away peacefully in his sleep Wednesday, April 6, 2016 at Camp Hill Veterans Memorial Hospital, QEII in Halifax. Born in Bridgewater, Philip was the adopted son of the late Winifred and Latimer Wile of Wileville. Philip or “Papu” as he was affectionately called by his family, was married for 70 years to Edna Mary, “Gunna”, who passed away just three weeks ago on March 15, 2016. Throughout his long life, Dad wasn’t afraid to take on challenges of any kind. In the 1930’s, as difficult as life was on his father’s small farm, he did the chores, cut lawns and had a paper route in Bridgewater to earn money for the family. In the early war years, Dad served in the Merchant Marine and later enlisted in the Royal Canadian Navy. His trade group was Surface Weapons and he rose through the ranks to become Chief Warrant Officer, retiring in 1969 at 43 years old. Over the next several months Dad worked for Bob’s taxi, Save Easy and the Ship Victory. In 1970 he took a position as Manager of the Red Fox Beverage Room where he worked until 1980. Dad then managed the Vimy Legion for 21 years, retiring due to deteriorating eye sight in 1994. Dad was a diverse character. He loved being in the outdoors doing anything. He was an early morning person, enjoying running, canoeing and racquetball. His real passion was hunting and of course fishing for trout in those secret places the locations of which he freely shared with family and friends. Papu had a creative side as well spending countless hours playing guitar and singing country and western songs to the love of his life, Gunna, who sometimes he even convinced to join in with him. He gave concerts for his grandchildren and later his great grandchildren. On his softer side, Dad would knit, hook rugs, crochet, paint by numbers and used colored pencils and coloring books many years before adult coloring became popular. He enjoyed being in the kitchen making date squares, strawberry jam and applesauce for his family. Here are some things that defined our father, Papu. He was legally blind, had hearing aids, both hips were bad for many years, had a defibrillator and in the last 15 months of his life, he couldn’t walk. Dad had lots to complain about, but he chose not to. Dad enjoyed eating, whether a large family gathering or just a Wendy’s burger with family. We believe dad was one of the Kraft Peanut Butter teddy bears in another life. He made sure the largest jar was in the cupboard at all times, along with peanut butter cookies. He loved and was protective of his family. For a time Mom took care of him, but after her diagnosis with Dementia, Dad became the caregiver. He fiercely protected the need to remain together in their apartment. He was defiant when confronted with the possibility of separating him from his wife of 70 years. He was courageous to the end. Only a short 3 weeks after Mom passed, Dad left us to be with his beloved Eddy, “Gunna” in Heaven forever. Philip, “Papu” is survived by daughters, Judy (Karle) Joys, Mary (Andre) Noel; son Richard and spouse Betty; grandchildren; Carolyn Maclean (Greg), Tony (Monika)’ Kim Robertson (Dave), Scott MacLean, Nick MacLean (Careyann), Chris Morash (Honey); and 7 Great Grandchildren: In lieu of flowers, donations can be made to the Alzheimer’s Society of Nova Scotia or a charity of your choice. Cremation has taken place. A service will be held for family members on Friday April 15 at 11AM in Atlantic Funeral Home, 771 Main Street, Dartmouth. Interment in Dartmouth Memorial Gardens. WINSOR, Harold Keith, P2RM - A proud Canadian, he was born August 8, 1937; died peacefully at MSA Hospital on July 1, 2008. Predeceased by his parents Harold and Madge Winsor and his son-in-law Martin Roach. Survived by his wife of 46½ years Mary Alice, daughter Madeline, son Harold, grandchildren Jesse, Keith, Chase, Tianna, sister Elizabeth and family, brother Bill and family and many in-laws. Keith retired from the Canadian Armed Forces after 25 years service as a P.O. 2 in the Canadian Navy. He then worked 17 years for the Provincial Department of Highways as a Communications Tech. He was a 32 year member and Past President of the Aldergrove Legion. Thanks to the nursing staff of MSA Hospital 2 West for their excellent care. A memorial service will be held Saturday, July 12, 2008 at 11:00am the Aldergove Legion Hall, 26607 Fraser Highway. In lieu of flowers donations to be made to the Heart & Stroke Foundation of BC. YEOMAN, Derek John, P1RM - It is with great sadness we announce the passing of Derek John Yeoman on 22 Sep 2006 at the age of 61 years. Derek was a very caring, compassionate man, who loved life to the fullest. Derek is survived by his wife and best friend, Sandra. Also, mourning his passing, Sandra's children, Lea (Arlin) Webster and Ross (Amber) Zieroth. Derek is survived by his two daughters, Jessica and Lisa, and three grandchildren, his mother and father, Percy and Elsie and brothers Richard and Robert, sisters Maureen and Barb. As well as many nieces, nephews, friends and acquaintances he touched during his lifetime. Derek was predeceased by his son Marty. After serving 25 years in the Royal Canadian Navy, Derek retired only to start 2 new careers. He became a commercial pilot and then owned and operated "Direct Security". At the ripe age of 58, he graduated from Malaspina University College with a diploma in Culinary Arts. A Memorial Service was held on Thursday, September 28th at 11:00 a.m. at the Royal Canadian Legion Branch in Parksville, 146 W. Hirst, Parksville, BC. In lieu of flowers, donations are being put towards a Memorial Bench in Derek's memory. Please send donations to Sandra Yeoman, c/o Yates Funeral Service, 1000 Allsbrook Road, Parksville, BC V9P 2A9.